With the addition of our new CCD imaging camera, I have been quite curious to find out how far I can push our imaging setup in terms of being able to record those really dim “faint fuzzies” out there. There was quite a wind during the evening I took this image and I had a telescope balace issue as well (who would have guessed my finderscope was throwing the balance off so much!) so these images are not as sharp as I would have liked. That said, this is a new “personal best” for me. 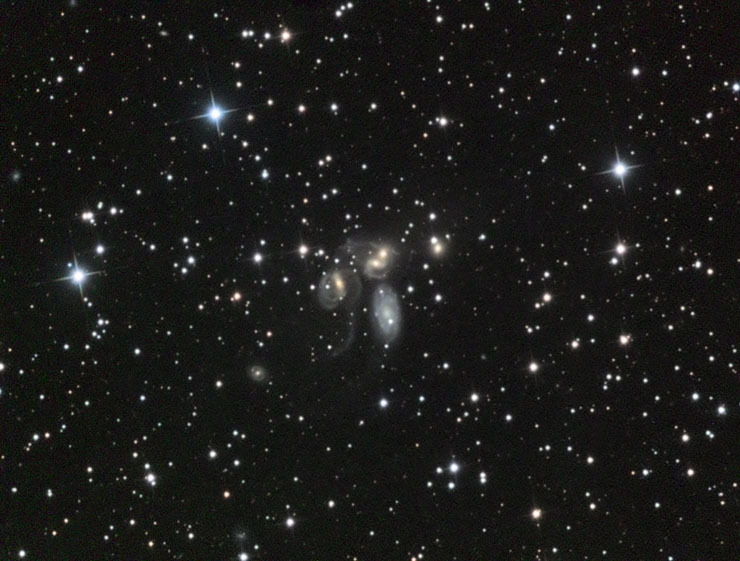 The brightest of the galaxies in this image (NGC7318b – the bottommost of the pair of little spiral guys in the center) is magnitude 13.9. It’s been awhile since our last posting, and we have some great changes to announce here at the Heller Observatory. We have recently upgraded our equipment, which should allow us to take even better photos than before. New equipment now includes an Astro-Tech AT10RC 10″ Ritchey Chrétien telescope and a Quantum Scientific Imaging 583wsg CCD camera with narrowband filters. 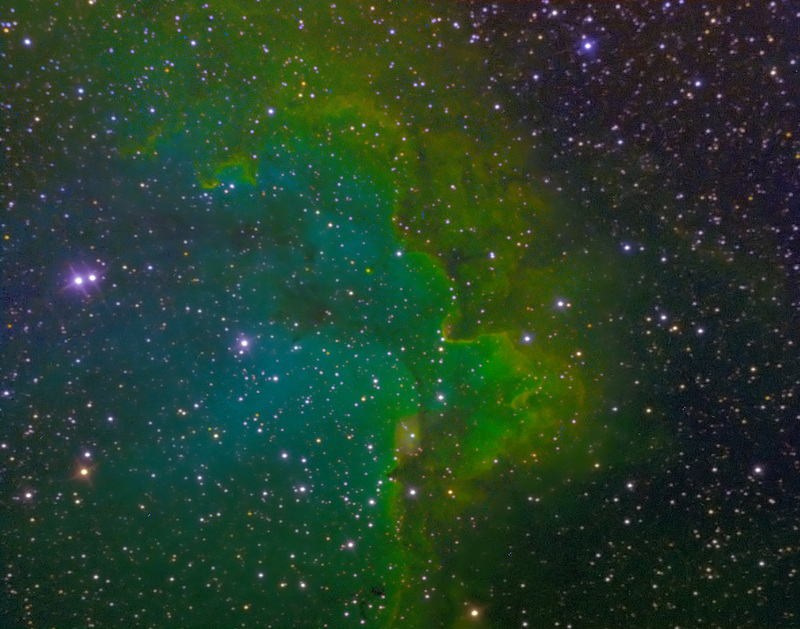 The use of narrowband filters will allow us to image nebulas even from light-polluted downtown Seattle. In addition to the new equipment, we have had our Celestron CGE mount hypertuned by Deep Space Products and I have also installed a Gary Bennett-style CGE cable mod. Enough about the gear – lets see the pictures! If you want to do a comparison, check out the M27 image taken on 6/7/10 using the modified Digital SLR camera and the C11 telescope. 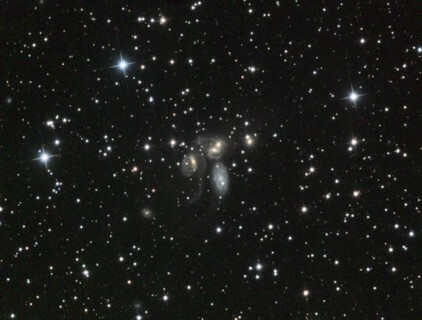 That one was actually taken from a dark sky site! 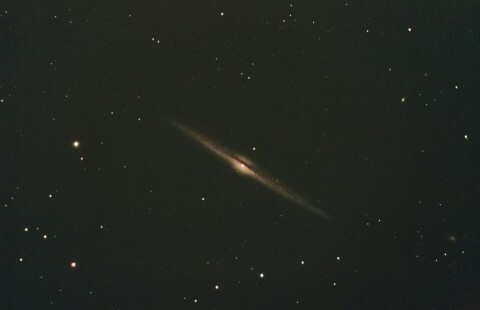 This is an edge-on Spiral Galaxy. 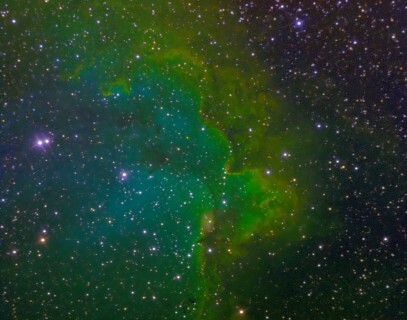 This image represents about an hour worth of exposures on the Canon 1000d at ISO 1600. 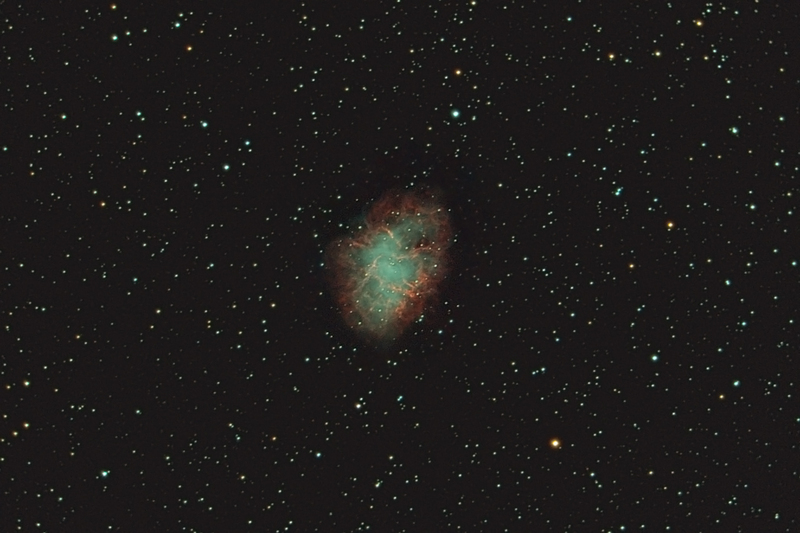 We were fortunate enough to have another couple of nights of clearing, and I decided to try out an alternative imaging platform I have been working on. This setup is based on the Vixen ED80SF 80mm Apochromatic scope that I used to use for guiding! 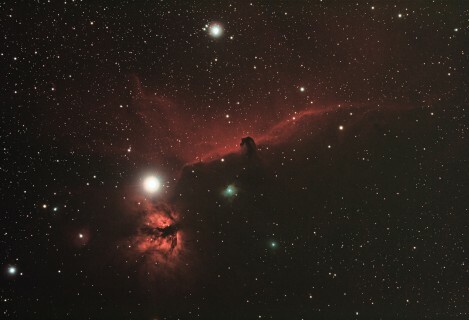 What makes imaging with this scope possible is the new Orion ED80 focal reducer / field flattener that just happens to be a perfect fit for this scope and the DSLR camera I typically use for imaging. 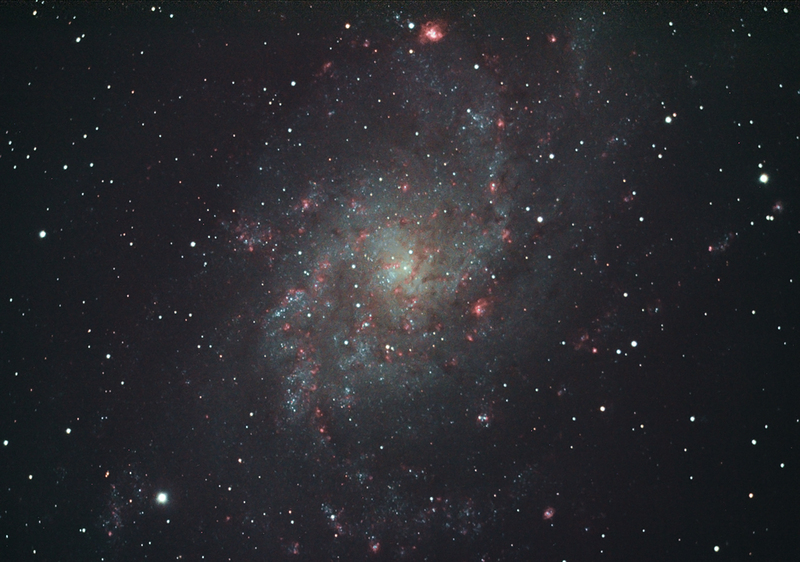 During the brief period of clear nights in early January, I took the opportunity to get additional exposures of M33 to improve the image detail. The following image is the combination of data from 11/04/10, 12/31/10 and 1/3/11. This represents an amazing total of five hours and 50 minutes of exposure time! 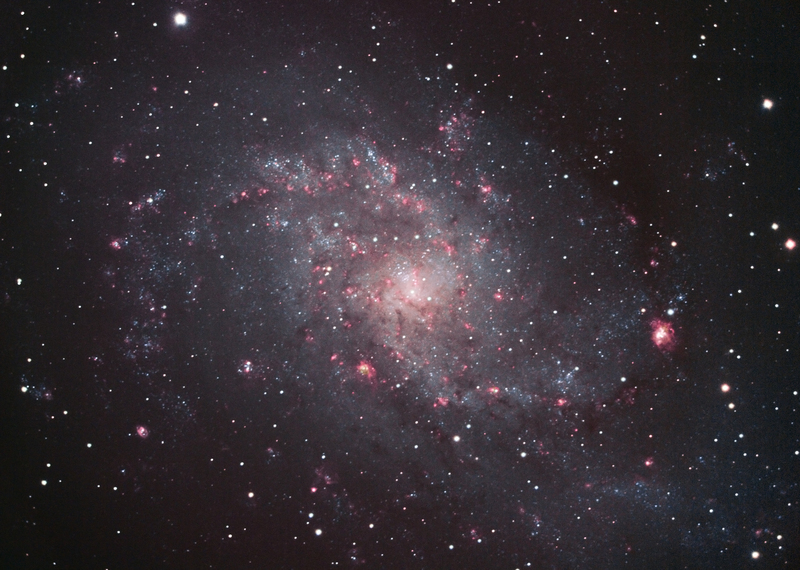 The result is one of the most detailed amateur photos of M33 I have seen. Science Daily has an interesting article on newly-detected gamma-ray flares being emitted by the Crab Nebula (aka M1). Here in Seattle we have had three months of constant rain. Now that’s a long time since I’ve had the telescope out! During the rain I did a lot of maintenance work on the CGE mount, including replacing the DEC and RA electrical connectors with DIN plugs – a major project! As you can see below, the work paid off! The scope is working great, and the new finder-guider scope is doing a great job. 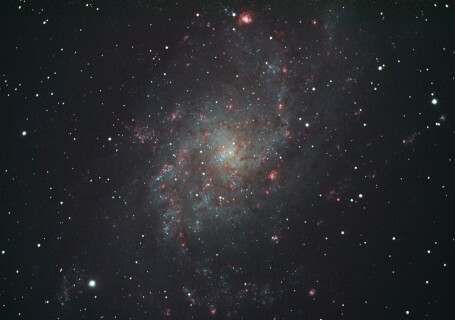 We had a brief opening in the clouds last night and I was able to capture about two hours worth of M33 subs. I thought this came out pretty good considering it was taken from downtown Seattle, Washington. 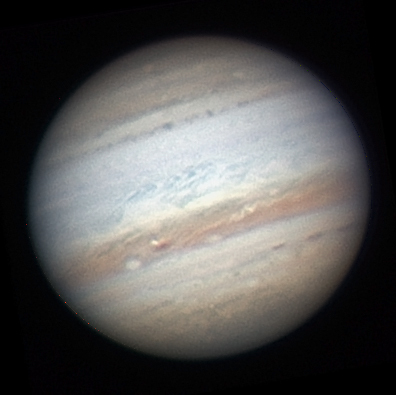 Last night we had a nice break in the clouds, and along with unusually good seeing conditions for the Seattle area I was able to capture the following image of Jupiter. This is one of our best Jupiter images to date. Enjoy!